Posted on 07/13/2018 by paivi	in Live Review and tagged Camila Cabello, Charli XCX, electropop, FedEx Field, Los Angeles, synthpop, Taylor Swift. 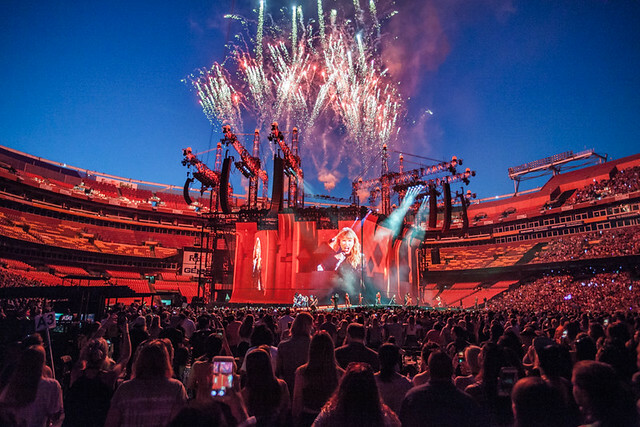 Taylor Swift recently performed a near sold-out show at FedEx Field on Tuesday after a year-long hiatus away from the spotlight. 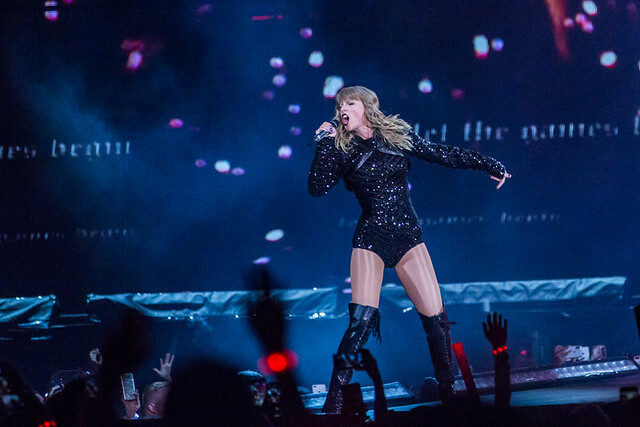 Known in previous tours for giving a unique concert experience, Taylor delivered a show that left fans captivated and eager to listen to her new Reputation album for days. Production for her Reputation tour gave U2, The Killers, and other well-known artists a run for their money. 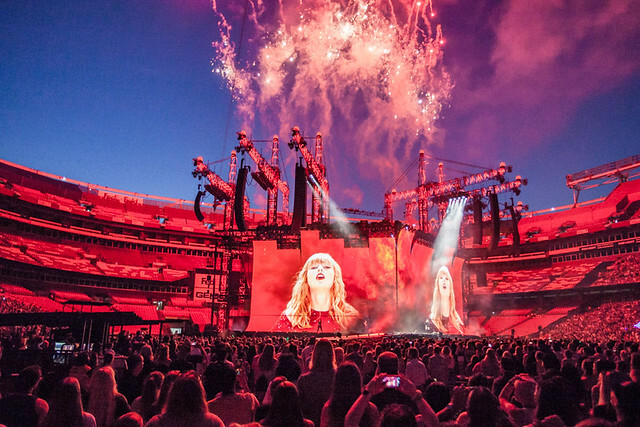 After much anticipation from fans, who came with signs consisting of her lyrics in glitter and dressed in costumes she’s worn in music videos, Taylor began her concert with “I Did Something Bad,” using pyrotechnics, flashing lights, and a modular stage that opened to reveal the dark costumes that defined the album and the tour. The song set the stage for the rest of the night as Taylor, with so many Billboard hits, sang songs that not only came from the album, but either helped differentiate her in pop or made it known that she is a 28-year-old adult. Taylor sang “You Belong with Me,” “Love Story,” and “Shake it Off,” of course, which fans sang at the top of their lungs as they were lyrics they’ve known since they were in elementary or middle school (evident of her long career in the industry); however, she also sang “So It Goes” and “Dress,” songs off Reputation that were more sensual than what she’s ever sang before. Much to the delight of her fans, Taylor did not fall short on the small details. Each person in the audience was given a wristband that flickered and changed colors according to the song Taylor sang, which she pointed out after stating that she was grateful for fans who understood her break from the spotlight and welcomed her back with open arms. 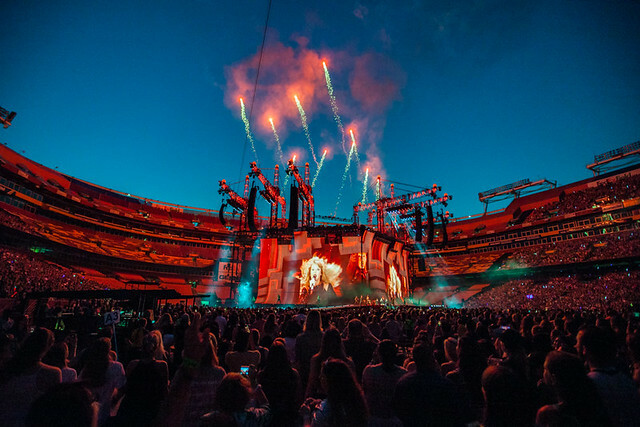 The connection between fans and the pop singer was powerful and FedEx Field glowed for two hours with all the colors in a rainbow. Snakes were also an added touch to the concert. In the act of reclaiming “snake,” a word that critics used to describe her in the past few years, Taylor deployed animatronic snakes, snakes that adorned the props on-stage, and snakes that slithered on the jumbotrons as fans tried to follow her performance. It was empowering, especially as we are in a moment of another women’s movement. 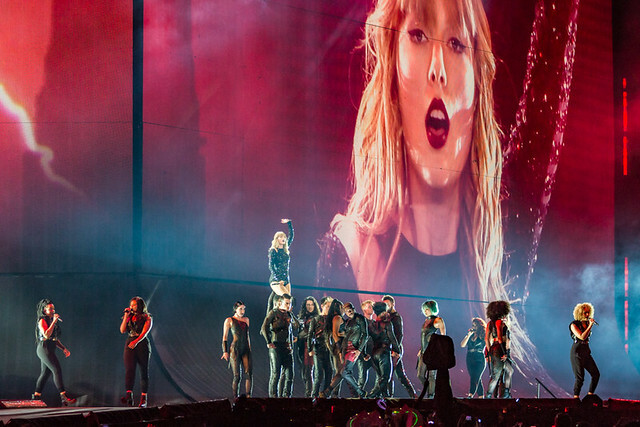 Speaking of women — While Taylor Swift’s epic girl squad may have disbanded (as it seems), Camila Cabello and Charlie XCX, who opened for her, later joined her in a performance of “Shake It Off,” fueling the feeling of girl power that radiated throughout the arena. 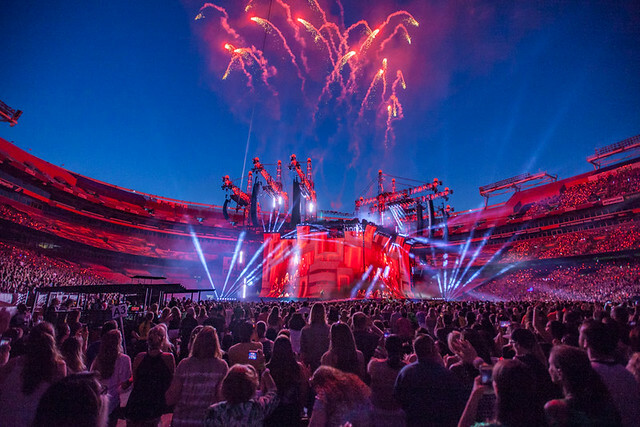 The Reputation Stadium Tour was unlike any other concert experience. I found myself knowing all the lyrics to Taylor’s songs, a testament to the power of her songwriting skills. Fans were not disappointed after the concert with many gunning for the merchandise stand for mementos. I was happy to see Taylor Swift back in what she believes may be her best in a long time. Be sure to catch her next concert not far away from DC as she performs in Philadelphia Friday and Saturday. You won’t be disappointed! 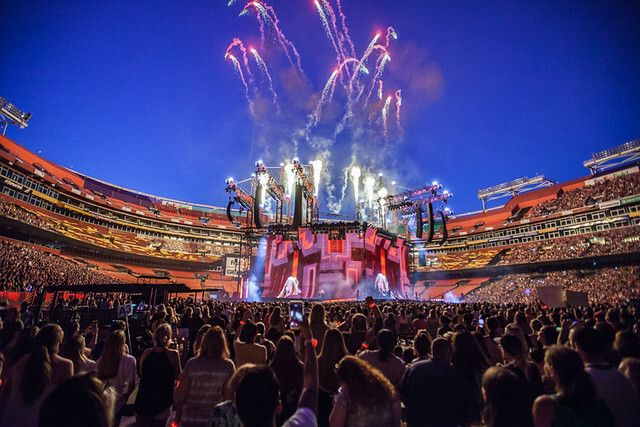 Here are some pictures of Taylor Swift performing at FedEx Field on Tuesday, July 10. All photos copyright and courtesy Paivi Salonen with rights reserved to Taylor Swift.